Love Is Love « How Do You Measure 525600 Minutes? 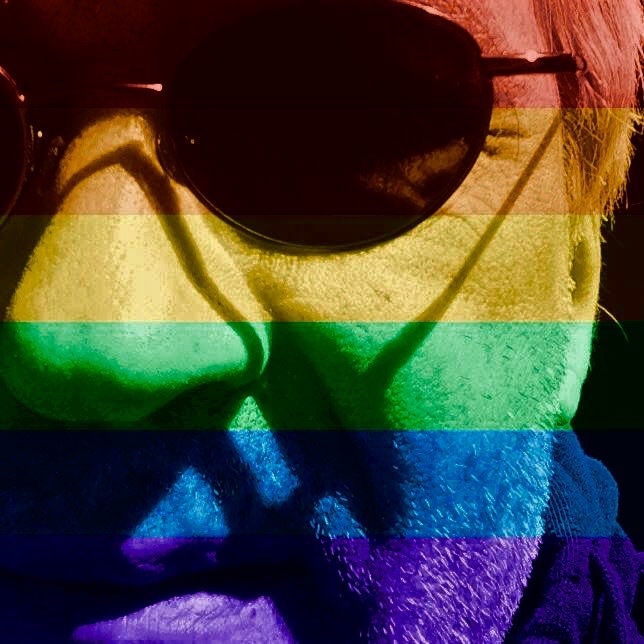 My profile picture with the FB celebratepride filter. I have to say I didn’t get too emotional yesterday with the announcement of the Supreme Court’s decision in support of gay marriage. Maybe because I knew it was still only a small step– a very historic step— but still just a small step towards acceptance and equality in the United States. Perhaps it’s because I’m a little numb from a lifetime of exposure to hate and bigotry. When I was in my late teens and early 20’s, I never thought I’d see this day. The court’s decision isn’t going to instantly change people’s opinions. Only time will accomplish that. But then this morning, as I scrolled through my Facebook Newsfeed, something happened. 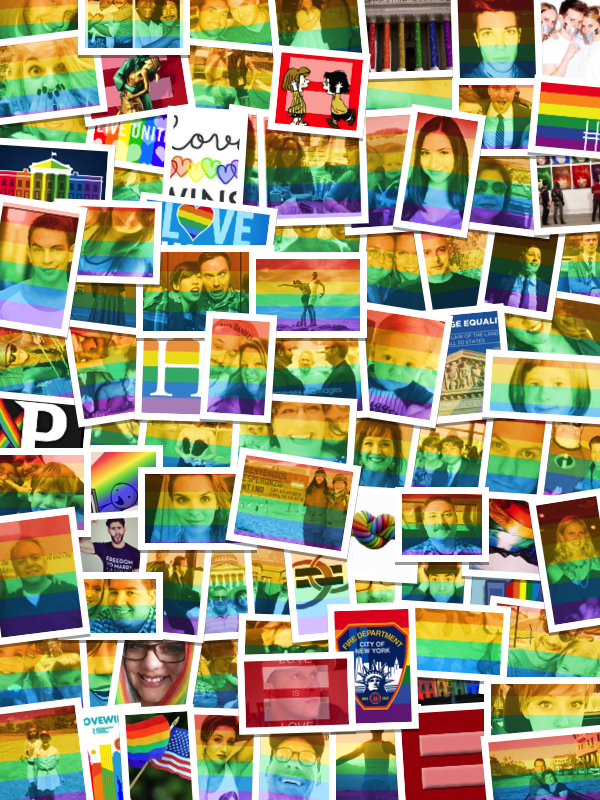 Not only were there a myriad of posts celebrating the landmark decision– friend after friend had also changed their profile pictures, using the celebratepride filter, overlaying the rainbow pride flag over their image. I found myself incredibly moved. It suddenly became real to me. Love equals Love. Equality gives way to the very Freedoms we are supposedly all guaranteed in the Constitution. Maybe there is Hope. Maybe Amerika can become America again– or maybe even, for the first time. Every step we take in this country to remove Hate, opens the door to love and acceptance. Gay marriage can now just be called marriage. Eventually, Gay pride may become an unnecessary celebration and can give way to American pride. It’s all about Equality. Each and everyone of us equal. Some of the love being shared on Facebook. I think it’s important to be consciously aware that the Supreme Court’s decision was not a strike against Christianity. Many people are choosing to take it that way; and I find it extremely sad and nearly pathetic. The fight was never about changing anyone’s religious beliefs; it was the always about equal rights under the law. In ancient times, marriage may have only been strictly viewed as a religious contract– not anymore. There are too many rights under the law regarding married people to maintain that defense. Love is Love. It transcends gender and race. It is more powerful than contracts, vows or religion. By jlinamen1229 in education, Equal Rights, Facebook, Family, Lifestyle, News, Personal Growth, Politics, Religion, Social Networking, Uncategorized on June 27, 2015 . I was a bit euphoric yesterday. I’m glad I lived to see this day. But I also thought like you that this will not stop the hate. Integration laws didn’t stop racism. I keep hoping for a plague of kindness in this world. Wonder what that would look like.